Cicero’s letters to his brother, Quintus, allow us an intimate glimpse of their world. 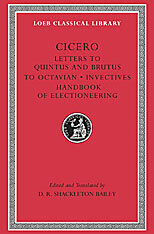 Vividly informative too is Cicero’s correspondence with Brutus dating from the spring of 43 BCE, which conveys the drama of the period following the assassination of Julius Caesar. These are now made available in a new Loeb Classical Library edition. Shackleton Bailey also provides in this volume a new text and translation of two invective speeches purportedly delivered in the Senate; these are probably anonymous ancient schoolbook exercises but have long been linked with the works of Sallust and Cicero. The Letter to Octavian, ostensibly by Cicero but probably dating from the third or fourth century CE, is included as well. 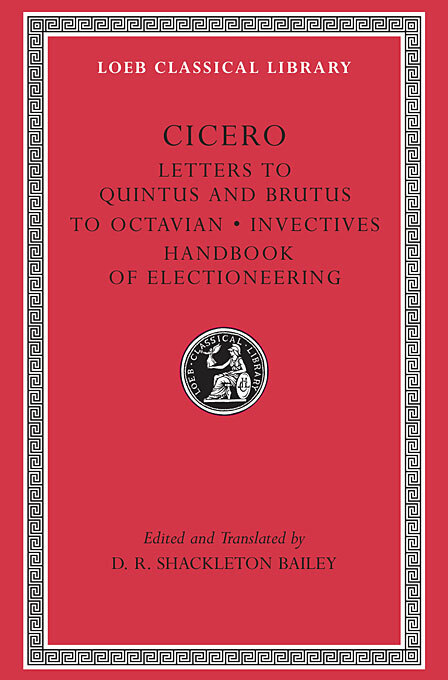 Here too is the Handbook of Electioneering, a guide said to be written by Quintus to his brother, an interesting treatise on Roman elections.